Can you remember the last time you felt like a true seductress? When you felt completely in tune with the rhythm of your own sensuality? Can you remember the last time you felt fluidity in your movement, a sense of pure grace as you entered a room, as if you were floating on air… gliding toward your beloved? I often envision a Bond girl…With her innate confidence, pure sexual power, mesmerizing beauty. Can you feel that woman within you now? Stirring from her slumber? Wanting to come out to play? Perhaps she’s a bit shy after some time away? Maybe you feel your sensuality strongly. Perhaps that part of you has never gone to sleep, or was recently awakened. Perhaps you want to rekindle your fire to create an even brighter, hotter, more seductive flame. More likely, though, those memories of your passionate and invigorated womanhood are more distant, as the busyness of modern life, with technology and traffic, family and functionality, bury those times of quiet oneness with self and spirit. Have you felt your actual senses dull as you’ve become less focused on learning and more on doing, less focused the experience of living and more focused on making things happen, moving from one activity to the next as quickly as possible, checking off the list of to-dos efficiently but without truly paying attention? Do you long for the return of your Senses and your Sensuality, but have no clue how to retrieve that missing part of your womanhood? I did not create this course to be just another personal development online course. And, although you will gain exceptional insight and develop personally from the course, that is not its only purpose. Nor is its purpose just to help you feel “hot” again, in or out of the bedroom. Of course, you will feel that, as a result of the course, but that is not why I created it. 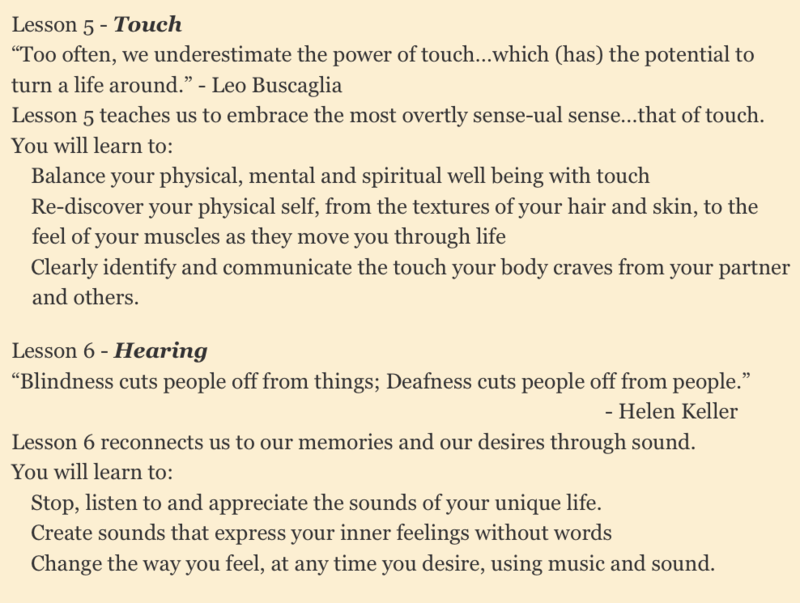 I created this course to help you remember how to access and use your five exceptionally powerful sacred senses to tap into your memories and unearth your core desires. You will feel a reemergence of your vast personal power and become radiantly committed to your boldness, you self-expression, and your own deep love of life. THIS is ALL for YOU, my powerful feminine heroes. 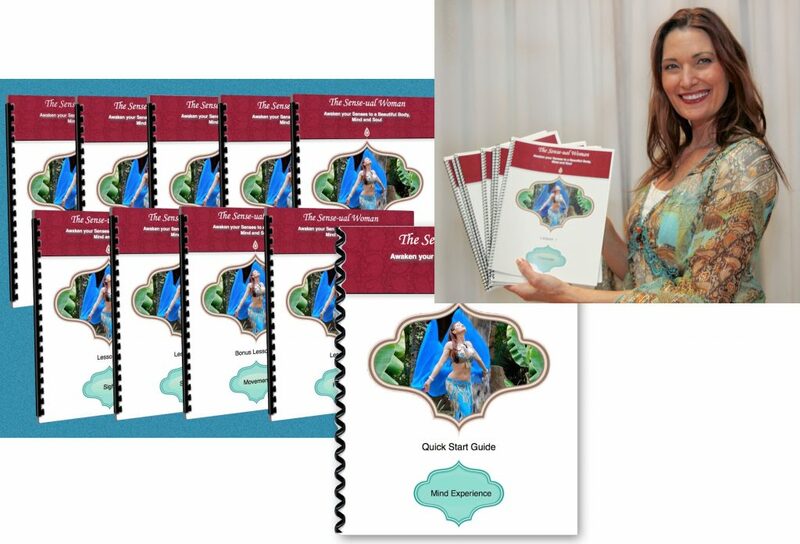 You have truly never seen or experienced anything like this program…a program that will stimulate your senses and your body’s own healing process so you can once again feel the full enjoyment life offers. 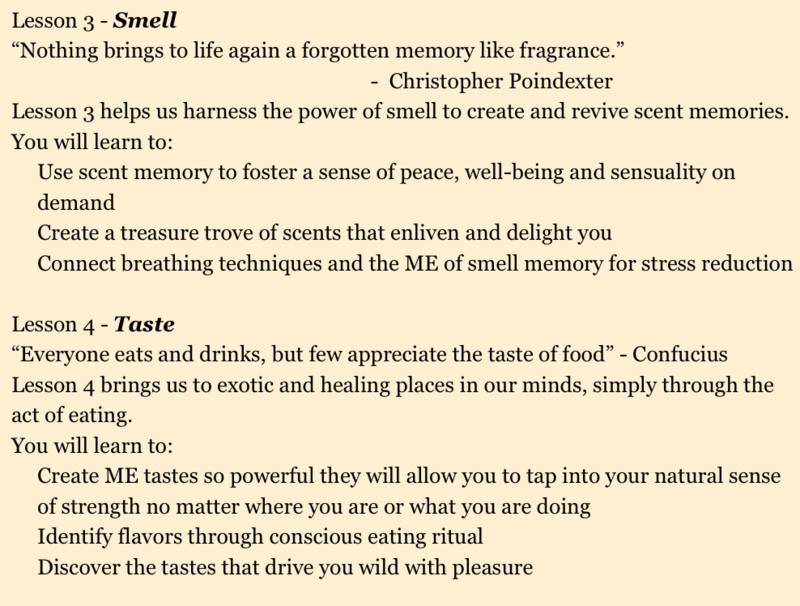 You are invited to unlock the secrets of your Senses! We know that you have choices, and that our very unique course is not for everyone. Our course is for the adventurous, the curious, the daring, the powerful and the unique. Our course is for those craving sensuality, sexiness, and sassiness again. Our course is for those who have at least a sliver of belief in a mind/body connection that can create power over one’s own experience of the world. And even if you have never tried belly dancing, or dancing of any kind…not to worry! This course is still for you!!! Our past clients started with a mustard seed of belief, and turned it into tremendous empowerment and growth! 10 weeks from today, awakened, alive. I want you to imagine waking up, throwing off your sheets, stretching with the morning sun streaming into your window. Your heart is beating, your mouth is smiling, you feel invigorated and alert, looking forward to the day. You step out of the shower, steam billowing around you, and are fully comfortable in your skin. Your body feels loose and relaxed, yet stronger and more capable. You walk with more grace, more balance, more confidence. You take in each moment, from your first sip of your morning coffee, bitter and sweet, to your children’s kisses, soft and tender. You hear the birds’ sweet songs smell the scrumptious breakfast cooking. You smile as you move your hips, look sassily over your shoulder, and give a wink to your lover from across the room. What is this freedom, this awareness, this sensual joy worth? When I serve my private clients, I charged up to $300 per session to teach them precisely the lessons you will learn in this 10-week program. On a one-on-one basis, this program would cost at least $1,997. But, remember, I created this class specifically to help more women than I could ever reach one-on-one. And I want to make this cost effective to as many women as possible. When I first offered this program, women were paying $997 and still are…and they are RAVING about the incredible value. With the videos, the workbooks, the dance instruction, and the mind transforming ME tools, the participants felt they were getting a bargain even then. And yet, I want this to be an absolute no-brainer for you! Since I am relaunching this amazing program and putting it on to a new platform I would love to have you in! I Want to REWARD YOUR ACTION and YOUR MOXY!!! So…for a limited time, this program is not $997. We will even let you split the payments into 2 monthly installments! Immediately, when you say “YES” to resurrecting your intuitive, sensual self, we will send you a plethora of goodies to get you started on your mission, including a quick start video and workbook, a Guide-map to your Sense-ual Self, Your 8 Sense-ual Secrets, and an introduction to self-guided meditation. How is that for a kickoff? 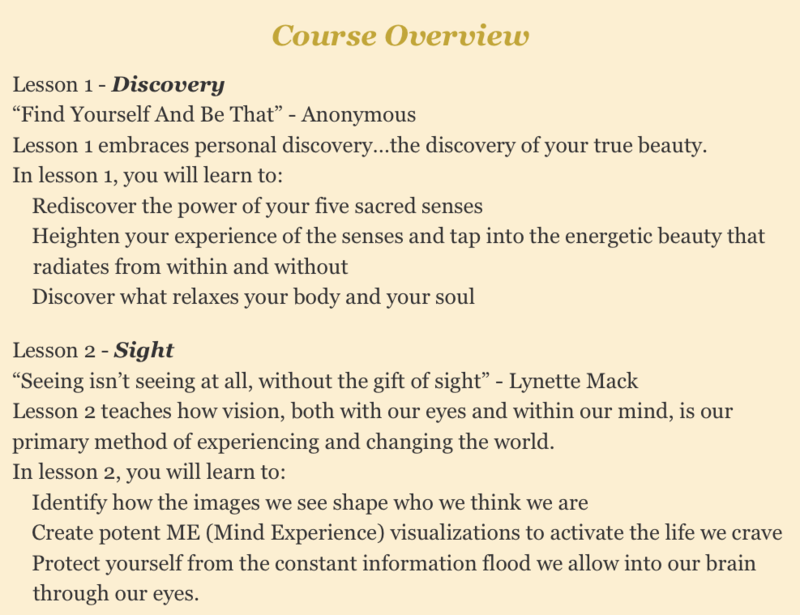 Then, over the course of your first week, you will receive your lessons on Discovery, Sight, and Smell; Affirmations; Mediations, Music, and tons of extras to rouse your senses and deepen your personal growth journey. Every two weeks, you will receive another Sense Lesson, allowing you ample time to practice what you’ve learned, create greater awareness of life’s enchantment, and stabilize new sense and sense-uality routines into your daily life. The “Sense-ual” Woman Program is built to allow you the full freedom and flexibility a busy woman needs. But we all know online classes can only take us so far. When it comes to developing and reengaging our spirit, community support and discussion is among the best ways to solidify for the greatest retention and the ultimate success. For a very limited time, we are offering a special free bonus for anyone who joins the “Sense-ual” Woman Program…FREE GROUP COACHING!!! This will be your time to share your successes with the group, to get your questions answered. Sohaila will lead the calls, but these calls are all about YOU and helping you find the power in your senses and your sensuality! This is price is a (re) introductory price. So, if this is for you, today is the day to take advantage. You have lifetime access to these tools…so don’t wait until this offer expires. So many women have received life-affirming benefits from the techniques I teach, and I am positive you will too. So positive, in fact, that I GUARANTEE IT! 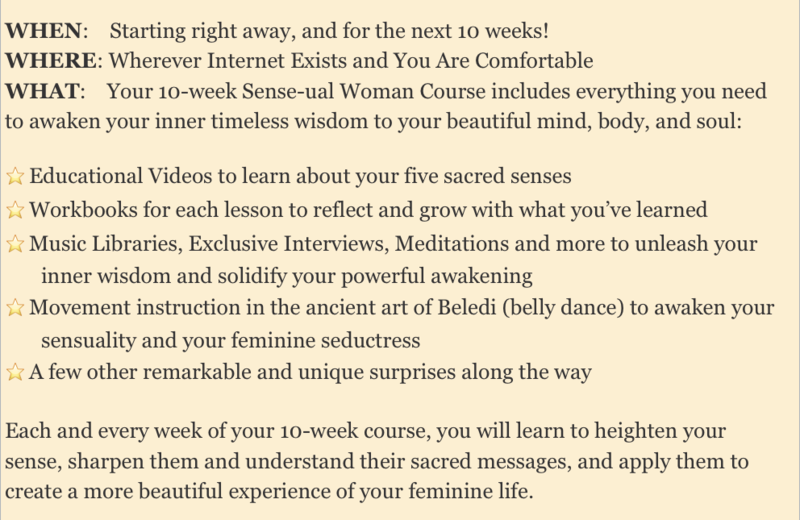 If, within the first 30-days of your purchase, you are not completely satisfied with the Sense-ual Woman 10-Week Course, just let us know why you are disappointed, and we will issue you a full refund. You cannot comfortably afford the program, even with the two-payment option. You are aching to be present in your body and experience fully the majesty of life! You are eager to learn to create your own sensory experience, any time and any place, regardless of the present circumstances. You can find time for engaging in self-reflection and falling in love with your life again. You are decisive, you are strong, and you are ready to say, “yes” to your Empowered, Sense- ual Womanhood! The only thing that stands between your current reality and the empowered, sensual reality you seek is this one tiny button….Push It!